In need of high-quality, customer friendly, cost-effective and reliable Cambodian translations services in Australia? You’re on the right page! OPAL Translation is your one-stop Cambodian translations services provider which you can rely on to provide the best Cambodian translation. We handle your translations with professionalism and take care of your language needs. If you are a business in need of Cambodian translations services, we will help you break through that language barrier and market to your target audience. On the other hand, if you are an individual planning on migrating abroad or transferring to Australia, we can help you with your personal document translations for your job, visa, or university applications. Whatever immigration purpose you have, we guarantee that you can submit our translations to any Australian authority that requires NAATI accredited Cambodian translations. Your document will be 100% accepted. We highly encourage you to try our Cambodian translations services and get to know why we are trusted by hundreds of thousands of our clients ranging from businesses, companies, organisations, individuals and government offices to provide the best Cambodian translations services. Simply complete the free quote form located on this page and receive an instant estimate for your translation project. Please include a copy (scan or photo) of your document so we can assess it carefully and provide you with an accurate and competitive rate. 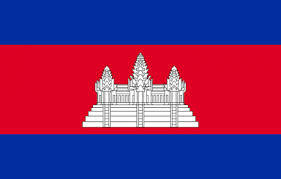 The Cambodian (also called Khmer) language is the official language of Cambodia that’s used by the Khmer people. Vietnamese and Thai are some of the languages that have influenced the Cambodian language. Over time, the language has spread its influence on the other neighbouring languages. Today, there are more than 12.6 million speakers in Cambodia. OPAL Translation has hired the best Cambodian NAATI translators to translate any Cambodian document to English and vice versa. Each of our translators knows the Cambodia language’s nuances and subtleties including the cultural appropriateness, grammar and spelling. When you work with us, you will be receiving the highest quality of Cambodian translations services. We are the leading Cambodian translations services provider in Australia with more than seven years of experience in producing accurate Cambodian translations that are error-free. We strive to provide translations that are the same or better than the source document. For urgent cases, we have Express and Instant Cambodian translations services where a translation is finished within 24 hours. OPAL Translation has the most affordable rate for Cambodian translations services in Australia. Starting at AU $69, you can have your translation completed by a NAATI certified Cambodian translator and receive it in no time! We only work with NAATI certified Cambodian translators so you can count on us to provide you with professional and accurate Cambodian translation services. Our 24/7 live chat is always available. If you have an enquiry, simply chat with one of our customer service representatives to help you. Avail of our Cambodian translations services today. Complete the free quote form on this page and get an estimate for your translation at no cost to you. Pay for your translation order via PayPal, online bank transfer or credit cards. We make it convenient for you to get your translation online. 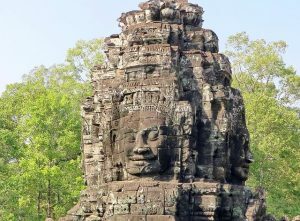 Here are a few facts that you did not know about the Cambodian language. The Cambodian language is composed of a few dialects such as Battambang, Phnom Penh, Northern Khmer, Southern Khmer, Western Khmer and Khmer Khe. Stresses in the Cambodian language is on the final syllable of a word. As such, it doesn’t give any different meaning to each word, in simpler terms the language is non-phonemic. The majority of Cambodian words have one or two syllables where the first syllable is a minor. Words that have three or more syllables are either compounds or loanwords from Sanskrit, French or Pali. Ready to get your translation started? Contact us via the translation quote form or the Live Chat below. We have the best team of project managers and translators who are dedicated to providing you with high quality Cambodian translation services.